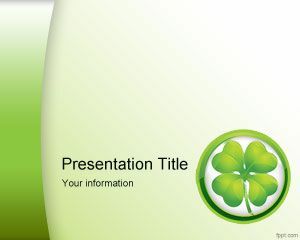 Free St. Patrick Clovers PowerPoint Template is a free 4 leaf clover design for presentations on St. Patrick or Irish PowerPoint templates. 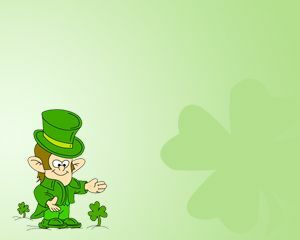 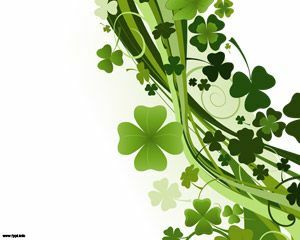 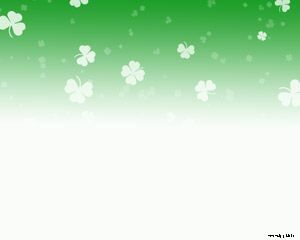 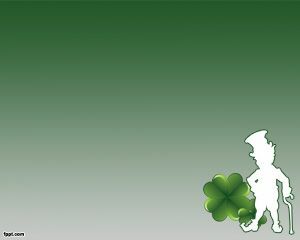 This free green template for St. Patrick celebtration is a free template slide design and PowerPoint background that you can download for Microsoft PowerPoint 2007 and 2010 to make PowerPoint presentations for St. Patrick’s day. 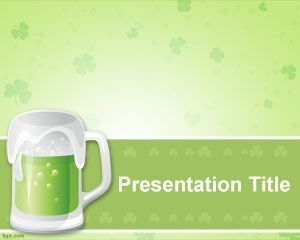 Download free stpatrick.ppt template slide design for your Irish pub presentations. 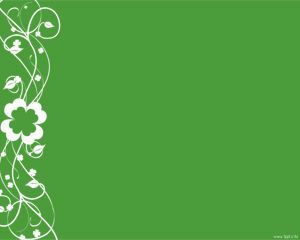 I’ll be making a 50th anniversary powerpoint presentation.